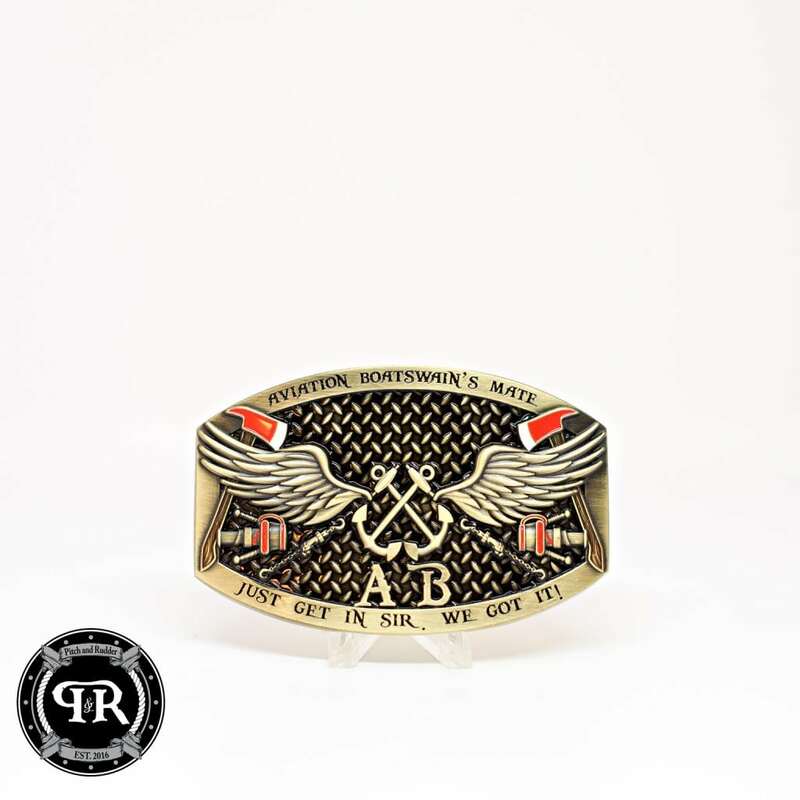 Pitch and Rudder AB Custom Belt Buckle, Just get in Sir we got it! Custom Aviation Boatswain’s Mate Belt Buckle! 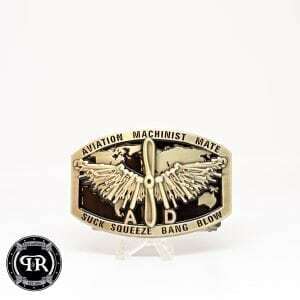 Aviation Boatswain’s Mate Belt Buckle! 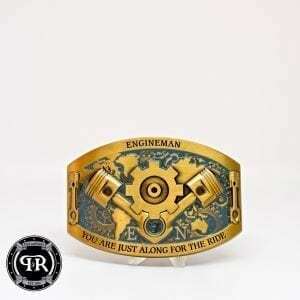 Wear your buckle with pride knowing we own all that the sun touches in the Office! 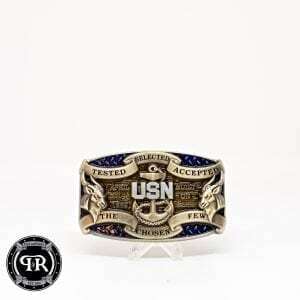 Know that in your hands you have a product that’s designed by team of Active Duty and Retired Senior Chiefs. We designed with you in mind! Sailors play a major part in launching and recovering naval aircraft quickly and safely from land or ships. This includes preparing and fueling planes prior to take- off and after landing. They may specialize in launching and recovering aircraft on the flight deck of an aircraft carrier, ABE; aircraft fueling and fuel systems, ABF; or aircraft handling, fire fighting and salvage and rescue operations, ABH. Later in their careers, ABs can earn the advanced AB rating that requires supervision of all these individual specialties. Making custom belt buckles is one of our specialties. Our buckles are made using a die-cast zinc process which is much harder and longer lasting than pewter. Our buckles accommodate belts up to a 2.00-inch wide size. 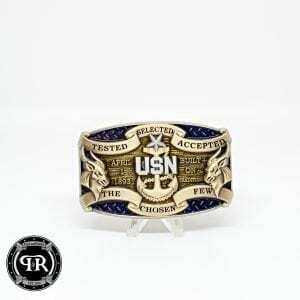 If your interested in getting a more OS Custom belt buckle for your Division, Command, or Mess we’ve streamlined the process, click the get started link at the bottom of the page and someone from our design team will be with you within 48 hours to bring your vision to life. When you’re working with us, we want to be as transparent as possible if you’re looking for shirts, you’re going to be working with Chuck’s Team, If you’re working with metal you will be working with Terry’s Team.